← So…who were we, that wrought such…brilliance? Found about 250 pounds of these in the attic at the Old Vic…the cut off corners from preformed laminate countertop…probably early 80’s vintage by the patterns. 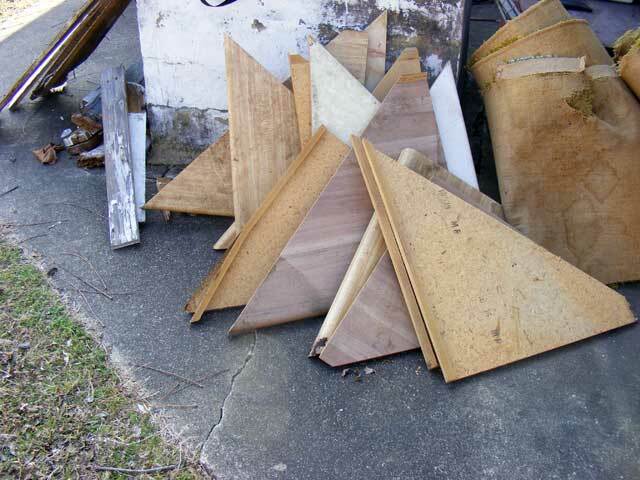 These are the remnants when you cut two pieces to make a corner countertop. They are pretty much completely useless for anything. There are about 10 different patterns…and they weren’t used in this house…and they are heavy…and they were carted up two flights of stairs and stowed deep in the recesses of a somewhat-hard-to-get-to attic.